With constantly changing regulations and increasing requirements for reimbursements, it’s easy to feel frustrated and overwhelmed with traditional chiropractic electronic health records (EHR) software. Our certified chiropractic EHR software allows you to create complete, HIPAA-compliant documentation quickly and easily, so you can spend more time on what matters most in your practice–your patients. ChiroTouch’s certified chiropractic EHR software comes pre-loaded with BulletTouch macros to make stressful and time consuming records requests a thing of the past. Our EHR chiropractic software prompts you through templates that are compliant with Evaluation & Management guidelines, as well as key aspects required by 3rd party payers, including treatment effectiveness and evidence based care for medical necessity. Make the process from patient check-in to patient check-out a paperless one and save time by eliminating duplicate data entry with our chiropractic EHR systems. Once patients have completed intake forms on an iPad or computer, data syncs and populates into both our EHR software AND your SOAP note! Even daily visit subjectives can be input by the patient quickly at the check-in kiosk and instantly ready for you to review as you open their chart on your iPad or computer. 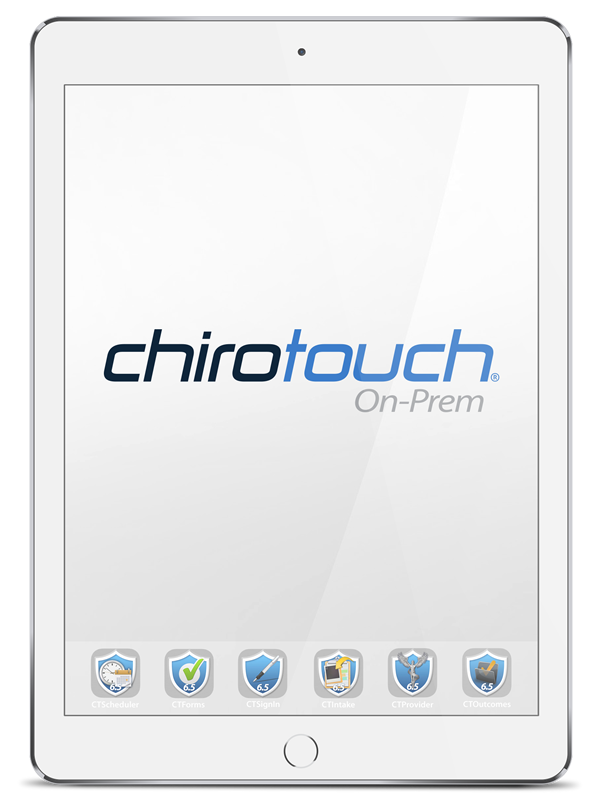 ChiroTouch’s certified chiropractic EHR software comes pre-loaded with macros for different case types and techniques – cash, insurance, medicare, PI, work comp, medical, physical therapy, acupuncture, activator, atlas orthogonal, gonstead, applied kinesiology, and more. 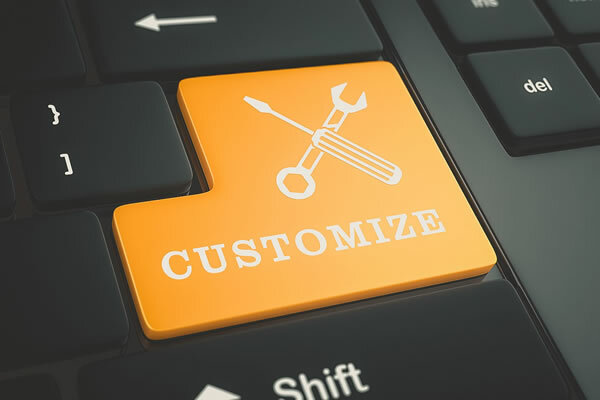 Easily customize your own macros, add new buttons on the fly, or simply modify language as needed. Share your customized macros with other ChiroTouch users or download macros that have already been shared by other users from our macro library. It’s incredibly easy to complete Meaningful Use reporting with our Meaningful Use Dashboard & Meaningful Use Wizard tools. For those looking to attest, our software makes it a smooth process. Our users have had more successful attestations than users of any other chiropractic software in the profession. ChiroTouch client Dr. Kevin Yates explains how ChiroTouch’s chiropractic software has simplified his workflow and improved his communication with his staff, as well as people outside of the practice. See more chiropractic EHR reviews by clicking the View More Testimonials button. See your notes & codes all on one screen. View images, x-rays, listings, reminders, your treatment plan, & more. Identify trends in patient compliance at a glance with color-coded appointment history tracking. Automate alerts related to specific visit numbers and cycles – never miss a re-exam! Take the Stress & Worry Out of Documenting Effectiveness and Evidence-Based Care for Medical Necessity with Our Certified Chiropractic EHR Software. Provide paperless outcome assessments to patients that they can complete anytime from an iPad or computer. The software then charts, scores, and calculates the percent change, then populates results into your notes automatically. Use the SALT feature to auto-populate codes automatically from visit to visit – no manual repetitive or double entry. Our six user-friendly, native iPad apps make documenting on the tablet easy and provide you with mobility to move room to room with patients. Learn more about the individual apps below. The CT Provider Mobile application offers providers the ability to view patient files and perform daily tasks related to chiropractic patient care. CT Scheduler Mobile offers providers greater flexibility in running their practice’s day-to-day operations with the added potential for reducing administrative overhead. The CT Forms Mobile application offers patients the ability to complete their paperwork while seated in the waiting room. The CT Sign-In Mobile application offers patients the ability to sign into their appointment from a handheld iPad while in the office. The CT Outcomes application offers patients the ability to fill out their outcome assessments on a portable device while seated in the waiting room. See more about these innovative applications on our mobile Apps page! ChiroTouch actually does what the other two programs that we used only claimed they could or would someday be able to do. The software developers have designed the system for us the working doctors. This means that from the intake, to the input of soap notes and exams into ipads quickly on the go while in the treatment room, to the EHR aspects of practise this team is working for the success of the working doctor. I love the layout. I mostly use it on the tablets and it makes it portable and quick to treat with patients. What Does It Mean to Be a “Certified” Chiropractic EHR Software? Certified EHR software meets the federal government’s stamp of approval via the Office of the National Coordinator (ONC) and Authorized Testing and Certification Bodies (ATCB). EHR chiropractic software meeting the certification program adhere to those government standards, which includes Meaningful Use. The latter is the name given to the Centers for Medicare & Medicaid Services’ (CMS) Medicare Access and Chip Reauthorization Act. Chiropractic EHR software that is not certified is less expensive in the beginning, but can cost a practice a great deal in the long run. That’s because without certified EHR software, practitioners cannot participate in CMS incentive programs, which may add considerable revenue. Further, if a chiropractor experiences a security breach in non-certified chiropractic EHR software, they will also have to deal with major liability concerns. Practitioners with certified EHR software can avoid such issues. Chiropractic EMR vs. EHR – What’s the Difference? When it comes to chiropractic software, there is a big difference between EMR and EHR. Chiropractic Electronic Medical Records (EMR) is ancient by tech standards, and it essentially the digital version of a patient’s paper chart. Chiropractic Electronic Health Record (EHR) software is software for the up-to-date practice, with all of a patient’s data in one place. A good analogy for the difference between chiropractic EMR software and chiropractic EHR software is flip phone versus smartphone. If all you want to do is make calls – or view a chart in EMR software – a flip phone serves your needs. If you want to access the internet – or view all of a patient’s information and share it with appropriate parties – you need the chiropractic version of the smartphone. No practitioner should depend on 20th century technology when we’re approaching the third decade of the 21st century. There are plenty of reasons to choose ChiroTouch EHR chiropractic software, but they boil down to two basics. The first is that you’ll receive a much better ROI when your practice uses top chiropractic EHR software, and the second is that your staff will become more productive. You and your employees can spend more time caring for patients rather than worry about billing, rejected claims and HIPAA compliance software. Patients prefer ChiroTouch chiropractic EHR software as well, because it makes the check-in process a breeze. Patients receive automatic appointment reminders, reducing the number of phone calls from staff. It’s a win-win for everyone involved in your practice. When was the last time you got something major for free that really turned out well? For most people, the answer is “never.” The price is not right for free chiropractic EHR software, because it doesn’t provide an efficient and effective way to run your practice. Free chiropractic EHR software might perform one specific function, such as scheduling, but it’s not going to perform all of the functions your practice needs. That means you and your staff will have to rely on a variety of programs to run your practice, and that means things will most likely fall between the cracks. You’re also setting yourself up for a possible audit. The lyrics of the old song claim “the best things in life are free,” but it’s not referring to chiropractic EHR software. You became a chiropractor because you want to help people suffering from back and related problems. Odds are you didn’t go into practice to spend a lot of time figuring out your chiropractic software. Choosing the right chiropractic EHR system can make or break your practice. It’s critical that you know what you need in EHR chiropractic software. If your current system is running smoothly and you rarely have to deal with large numbers of rejected claims, large amount in accounts receivable and your inventory management is completed online, then you likely chose wisely. If the running of your practice leaves something to be desired, the right chiropractic EHR software can turn the situation around. Even if you’re a solo practitioner, you have a partner – your chiropractic software. First-rate software keeps your chiropractic assistants, patients and yourself satisfied. No one wants to work on antiquated software and have little faith in the documentation or have to constantly correct mistakes. 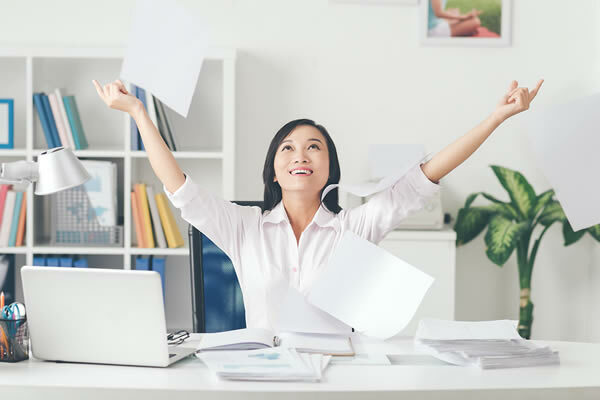 Investing in state-of-the-art chiropractic software pays off in myriad ways, such as the ability to retain employees who don’t feel their time is wasted doing unproductive tasks. The most important people in your practice–your patients–also benefit. If you aren’t using the best chiropractic software, your bottom line may suffer. Ideally, your chiropractic billing software easily integrates with your chiropractic management software, working through a clearinghouse to automatically post payments and submit claims. The modern chiropractic office needs software with a complete suite of iPad applications for patients, providers and staff. Such software includes compliant SOAP notes, inventory management, online patient scheduling and linking patient family accounts. If your chiropractic EHR software doesn’t include all of these provisions and more, consider replacing it with an up-to-date version. An efficient practice equals a more profitable practice–and vice versa. You may not even realize how much money an inefficient chiropractic electronic health record system costs you. Truly profitable practices, however, maximizes efficiency on every possible level. The difference is integration. An integrated practice combines technology and automates tasks in ways that non-integrated systems cannot match. Your chiropractic EHR software system should be tailored to meet your individual needs. If your system isn’t scalable, customizable and you don’t receive appropriate vendor support, your choice is obvious. Your practice deserves a system that keeps you compliant, provides a comprehensive support package and is available to you every minute of every day. Anything less hurts your practice. You may not realize how much it is hurting until you make the switch and discover how much a state-of-the-art EHR system improves your bottom line. Without top staff, primarily chiropractic assistants, your practice won’t run smoothly. Chiropractic assistants conduct scheduling, ensure correct payments, help patients with insurance problems and work with insurance companies to rectify these issues. Your chiropractic assistants also serve as the “meet and greet” element of your practice. These hard workers must prioritize tasks, but without the right chiropractic software, such tasks aren’t completed as efficiently as possible. EHR software allows you to eradicate many of the inefficiencies plaguing your practice while making your chiropractic assistants’ work lives much easier. This allows them to concentrate on the most essential tasks, knowing the EHR software is doing its part. For greatest flexibility, customize your EHR software. Make updates quickly as your practice expands and needs change. Good EHR systems are intuitive, with a rapid learning curve. This means it won’t take long before your chiropractic assistants know how to use it and your entire practice benefits. How efficient is your practice? Prime efficiency is a key to growth. Start by examining your office’s traffic flow. Are patients and staff overwhelming the reception area because it is the only place your staff can use for check-ins and scheduling? Do you have a high number of no-shows? Patients who fail to appear cost your practice not just money, but time. An automated patient recall system helps keep no-shows few and far between by sending out text, phone or email reminders, freeing your staff to work on more important tasks. Conduct a weekly troubleshooting meeting with your chiropractic assistants, receiving their views and possible solutions to problems facing the practice. Schedule employees to arrive 30 minutes before patients start coming in for morning appointments, so everyone is fully ready for the day. Most crucially, find the right EHR software to integrate all aspects of your practice. Is your current chiropractic EHR software holding back your practice’s development? Your EHR software must suit your practice’s individual needs, helping you streamline your business and grow your client base. If your chiropractic EHR software has certain deficiencies, you need to make a change. These deficiencies include a lack of scalability or customization, you want to avoid a scenario where your practice grows and you must devise workarounds. Everything your practice needs should prove available in one chiropractic EHR system. If you find yourself requiring multiple software systems to transact all your practice’s business, it’s time to consider trading up and finding a more elegant solution for your practice’s software needs. Even if your current EHR system is viable now, does it offer an extensive support system? The right chiropractic EHR software includes constant updates so your office is always compliant and gives users an extensive support package. You’re used to your current chiropractic EHR software, even though you know it is neither the latest or the greatest. What it does offer is familiarity. The truth is that an outdated chiropractic EHR system is costing your practice time and money. If you and your staff are constantly devising workarounds to make up for software inefficiency, your system simply doesn’t have the core capabilities your practice requires. If you’re concerned about your system needing an upgrade, it’s time to take the plunge and get new chiropractic EHR software. If your vendor is less responsive than you’d like, keep in mind that your current software and your vendor likely act the same. Your original chiropractic EHR system choice may have been based on factors that no longer apply. Your budget and patient numbers may have forced you to live with a less than ideal system, but that’s no longer the case. Making a switch isn’t easy, but stagnation is far worse.